How we'll make change, Why are we here? The recent UK election was the latest in a series of surprising electoral results around it the world in the last few years. 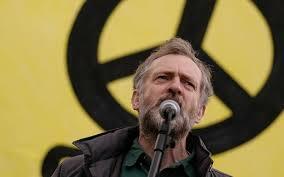 Green Agenda spoke to UK activist and commentator, Adam Ramsay, about what is going in UK politics, the Corbyn phenomenon and the ongoing role of green politics. Clare Ozich: Green Agenda is talking with Adam Ramsey, UK activist and political commentator. Adam is the co-editor of OpenDemocracy and also works with Bright Green, two political websites worth checking out. Adam, it has been quite an interesting time in UK politics. You’ve had Brexit, a new Prime Minister, an early election, the rise and rise of Corbynism and the Labour Party. What’s your take on what’s been going on? Adam Ramsay: I think there’s a whole range of ways to understand all of it. I say ways because you went back a couple of years there and you’re right to do so. You can’t see any of it without the context of the rest of it. And because you went back a long way I think maybe I’m going to go back to 1945 to answer your question. I think what’s going on in Britain really is the death of an Empire. My dad was born in 1945. He is still alive and thriving. There is whole generation of people who witnessed Britain going from, what was still in 1945, just, still the biggest Empire in human history, to being three quarters of an archipelago in the North Atlantic. That’s an astonishing process and the most astonishing thing about it is that no-one here ever says that. When I ask my friends, “When was it that the first African countries gained independence from Britain?” Or in fact from any western country. They tend to imagine this happened in the 1920’s or 30s. Not that it actually happened in 1960, more recently than the first Beatles album. That process is played out in a whole range of complicated ways over the 72 years since it began. But it really is the story that we’re talking about, we’re talking about a new phase in that history, and I think it’s always important to remember that context. And the second thing we’ve seen, the second key date is 2008, which of course is globally important, and is the playing out of the long financial crisis. In the first few years I think people responded as though this was a normal recession, we have one every 10 or 15 years, most people were used to that. And they’ve gradually realised, as wages in Britain have fallen – British wages over the last 10 years have fallen by 10.4%, by more than any other European countries, apart from Greece – that this is a longer term problem and that has left a massive lack of trust in the establishment, a massive lack of trust in the structure of British politics and so on. I think that’s what we’re seeing playing out in a whole range of ways in the last 10 years, the last 5 years, the last couple of years, in particular as we’ve seen with Brexit, as we’ve seen with the recent election. You also saw it in the Scottish Independence Referendum in 2014 and so on. Some of it is very positive and some are negative, but they’re all dramatic. Clare Ozich: You talked there about this lack of trust in the establishment and the structures of British politics. I think that’s something that we’re seeing in various parts of the world at the moment, and I guess in some ways for similar reasons in relation to that 2008 financial crisis and in the other ways that the failures of the current political system have been demonstrated. In Australia we’re seeing, not quite a dramatic fall in wages, but we’ve certainly seen wages stagnate in a way that we haven’t seen for some time. This notion that things aren’t working and that the disruption is coming in different ways. Just in the last couple of years in Britain, you’ve seen it with Brexit, but at the same time you’ve seen it with the rise of Corbyn and this Labour party revival. What can we make of the fact that it can come from the right, it can come from the left, it can come from the centre, as long as someone’s taking on politics as usual? Adam Ramsay: Just going to that point first. It’s worth noting that, you look at the responses to this. In Britain you’ve had Brexit, which was usually seen as a win of the right wing movement. In American you’ve had Trump, which is clearly a right wing phenomenon. But in France you’ve had Emmanuel Macron, who’s an outsider, seems outside the system but in a way coming entirely from the system, he’s a former banker, and very much a liberal centrist in a way, almost a reassertion of neoliberalism. As you say these things, as long as they’re not seen as being tied to the old regime, the processes, huge challenges to the system can come from anywhere. In Britain, you say what to make of it? Well, I think what that tells us is that the institutions, which formerly helped shaped people’s ideology, have so collapsed that people are willing to latch on to a whole range of different things. For example, in Britain trade union membership has roughly halved since 1990. What that means is that the places people would go to to get their political education, where they’d sit round and read about Marx by candlelight, as people in Glasgow used to do, as workers in Glasgow used to do etc have collapsed. People are getting their political lessons, ideology, from a much more fractured environment. That is very fertile context for people with a lot of money to buy access to it. What we see with Trump, what we see with Brexit, is essentially elite projects to replace the establishment with something worse. You might call that fascism, you might call it something new. In a way I’m not interested in debating those old labels. But there’s something that the smashing of the establishment leaves the door open to two different kinds, or many different kinds, of organisational form sweeping in. And it’s very easy for the left to make the mistake of thinking it’s definitely going to be us. But actually they are also the people who’ve made an absolutely fortune in the last few years, who are working very hard to buy politics and have access to very impressive tools to do so. And also there are the old right wing narratives that there have always been. People are still racist, of course they are. People are still sexist, of course they are. They can play on those tropes, just as the left can persuade people that actually once you replace the establishment, the way to do that is with something more progressive. Clare Ozich: The UK election and the success of Labour’s campaign, and the impact of Jeremy Corbyn, to an extent shows that there can be a way forward with a positive leftist approach. I’ve read some analysis of the UK election that suggests that one of the key determining factors was age; that age is now the new political divide in politics and I wondered if you had any thoughts on that. Adam Ramsay: First thing is that it’s important to remember that this is not the case everywhere. We didn’t see that in France. In France the vote for Le Pen and Macron was not, you can look at differences by age, but there is not a clear clean line in the graph like there is in Britain. If something’s happened in Britain, that doesn’t mean it’s inevitable that it’s going to happen everywhere. I think there are a number of specific reasons for that, that relate to the way that things have played out in Britain in recent years. One is that the way that the Conservatives, in particular, but also actually the Blair Labour government before that, decided to roll back the welfare state. Rather than taking things off people who already had them, they’d just not give them to people as they ended up out of it. It’s much easier to tell a 21 year old, or an 18 year old going to university for the first time – you mostly only go to university once – that this one time they’re not going to get their fees paid than to say to a pensioner that your pension is going to be cut. And then they say the same about the housing benefit, they increased the age at which you can get housing benefits and so on. What they did, and you see that particularly since 2010, although also before then, was roll back the welfare state for a particular generation. Every time you got to a certain age you discovered that you no longer got what the person at that age 10 years ago used to get. Because most of benefits on the whole applied generationally, at different stage in life you need different kinds of benefits. Obviously that is different for every individual, but as a generation you roughly enter a new cohort together. What’s happened is that the age of the people who had this rolled back in front of them, they are now up into the 30s and arguably even the early 40s, so it’s now a big enough cohort that it’s a major part of the electorate. What that tells you is that yes, generation is partly how people have been attacked by the Tories, so it’s not surprising that people have responded differently by generation. There’s something else going on, which is much more cultural and comes back to the first thing I said about Empire, which is, if you look at the ways that Jeremy Corbyn was attacked, right at the beginning when he was first elected Labour leader two years ago, the first criticism of him was that he wears a white poppy. And I don’t know how much it’s the same in Australia, but in Britain there’s this, every year for Armistice Day, 11th November marking the end of the First World War, people wear a red poppy. This is a tradition started by, specifically it was started by the wife of Field Marshall Haig, the General, Field Marshall who’d sent troops out to die at the Somme in their tens of thousands, partly I think in order to cover up crimes. And as a result a lot of the left recoiled against it and wears a white poppy for peace, rather than a red poppy, which is only commemorating people on our side and so on. He was attacked for this as if it was totally offensive, and so on. He was attacked for supposedly not bowing to the Queen at the first Armistice Day. He was attacked during the election campaign for having historically opposed Trident, nuclear missiles. He was the Chair of the Campaign for Nuclear Disarmament in the UK. And that sort of thing. A set of issues which I call British Empire pitch. What’s fascinating about that is the generational difference in attitude towards those things. For me, what that’s about is whether or not you’re old enough to have some kind of deep subconscious yearning for the imperial age. For the time when Britain could claim to be great in the world, that I by dint of being a white British person could quietly believe that I’m just better than other people simply because of that. And that for a younger generation those sorts of attacks just seemed absurd. Whether you’re in favour of or against Trident, if you are 25 you probably don’t care that much, you don’t remember the cold war. The other thing that was happening was the IRA. Again, this is exactly about the history of British Empire. Whatever you think about the horrific violence of the IRA, and it was horrific, a) it ended in 1997 and b) the refusal to talk about the fact that there was violence on both sides of that conflict among that generation was about which side you were on. The Tories and British Unionists are very happy to condemn the IRA, they’re very quiet about the UVF (Ulster Volunteer Force) violence, which is the equivalent terrorism the other side, which was equally horrific. And that’s because they were very clearly on the side of the British Empire. For me, one of the generation dynamics is just about what you remember and what it is that helped shape your identity and who you are. Whereas for most people of younger generation, that’s just an absurd, ancient history and you talk to people, my age or younger and they find this whole set of, this constellation of politics, very confusing. For me, one of the generation dynamics is just about what you remember and what it is that helped shape your identity and who you are. In Britain, because you had this accelerating collapse of an Empire, and this gradual emergency, but not quite yet of a country. England itself, it’s still the Imperial hinterland London, rather than a proper country. The kind of psychological impact of that on a generation is normal, for younger people it’s just absurd. That attack just didn’t land with people under the age of about 45, whereas if you’re old enough to remember the cold war, remember the IRA and to have that broader sense of British greatness, then these are very important issues to you. Clare Ozich: Looking at Jeremy Corbyn and what Labour represented in the election. Corbynism has now become a bit of a catch phrase, but often with these shortcuts we don’t always share the meaning. I wondered what your definition of it is, or what your understanding of what Corbynism is and what Jeremy Corbyn and the Labour Party is now representing in British politics? Adam Ramsay: I think that with these questions, the important thing is it is always the movement not the man. The question is, what do people around Jeremy Corbyn think and what’s the phenomenon? I think it’s very hard to separate the phenomenon of Corbynism from, for example, the phenomenon of the Green surge we saw in Britain 2015, which is a set of social movement activists and you see this arguably from the Iraq war onwards. 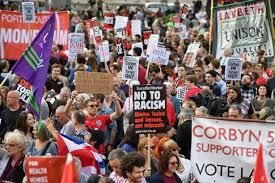 That is people in Britain getting involved in, particularly those people, get involved in a series of mass protests. There’s a sense that the establishment has totally lost the plot and a more and more organised group of people who are identifying very much as against that establishment, from the left. As the million people who marched against the Iraq war, who wouldn’t always see themselves in that group. But at that point it’s very clearly that the British people as a whole are more sensible than the regime. Then you had 2008 and throughout that protest you has the climate camps, which is much smaller but have a very similar group of people in them. The point is that, what is Corbyn? Corbyn is the product of that movement coming into party politics and saying, actually there is now a candidate for Labour leader as he was that those people can support and rally behind. That then was able to mobilise. It turned out a significant portion of the British population. The important thing to remember is that only a few weeks before the election, Corbyn was more than 20% behind in the polls. What this movement was able to do was reach and convince a phenomenal number of people in the country over the course of a few weeks of the election. I think that’s part of the phenomenon, although you can’t separate that from the ideology. Because in a sense what you’re talking about for the first time is Labour beginning to become a social movement party in the way it’s never been before. Which is a phenomenon that, interestingly Ed Miliband the former Labour leader’s dad, Ralph Miliband, first identified in the 1970s when he as a famous Marxist theorist, wrote about the potential of a social movement party. So what is Corbynism? Corbynism is the arrival of left central movements in the labour party, I think. Clare Ozich: You’ve mentioned the Iraq war. What makes up these social movements? What kind of elements are in them, what do people being attracted to, what do they out on the streets for when they’re becoming a part of this movement and wanting to be engaged? Adam Ramsay: I suppose ideologically what we’re talking about is, and the reason I haven’t listed policies, is that you can’t say here is an obviously Corbynist manifesto. Because in a way it’s the broad, what was seen as the radical left has now become mainstream in the UK, it’s now the opposition party. But it’s the broad forces of people, ranging from people who are in a way quite centralising, you think the solution is to nationalise everything, which I’m not entirely against, but there’s more to politics than that. For example, many of them have no understanding, nothing to say about democracy in the broader sense and the Constitution and what’s wrong with Britain in that kind of way. 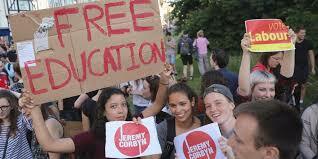 Through to people with a more developed sense of radical democracy and almost anarchist. I know people who are both involved in, essentially what were Trotskyist groups who are now active in the Labour party. I also know anarchist who are now active in the Labour Party, because they all see this as a clear challenge to the establishment, from obviously the left. You’ll talk to these people and they will have very intelligent criticisms of Corbyn himself under the manifesto he produced and so on. But they feel that clearly there is a movement here that’s got control of the Labour Party and is capable of seriously challenging the British establishment and as such they see it as a key moment to do so. It is ideologically very broad, it is pluralist, it includes all those people. Clare Ozich: I think that’s a sense of what’s going on that we don’t necessarily get over here. That’s not really the sense that we read about in the more mainstream or accessible media outlets, or however we get our information. Certainly not something I’ve read in terms of broader commentary, or analysis of what was going on in the election. It was a mixture of ‘here was this manifesto’ and ‘here was this organising going on in the streets, through Momentum’. The strategy and the manifesto coming together, but less of that overarching picture that you’ve just painted about social movements coming in the Labour Party, which is going to be interesting then to follow in the future. I think one of the other interesting things is that it was a close election and the Tories at the moment look like they will form government, or at least Theresa May is still the Prime Minister. But Jeremy Corbyn, the Labour Party aren’t stepping back and just accepting that, they seem to be continuing to apply pressure and taking advantage of things that are happening. That’s not something that the non-conservative parties have often done in the past. There has often been an acceptance of convention as opposed to being prepared to break some of those conventions. Adam Ramsay: We’re in quite unchartered territory already, in constitutional terms. It’s worth remembering that, as we speak, and it might change any moment, but there isn’t a formal deal with the Conservatives and the Democratic Unionist Party to get a majority [Teresa May has now finalised a deal with the DUP]. Just for those who are not following this closely, the Conservatives didn’t get a majority in this election, they fell just short. Now they’re currently in conversation with the Democratic Unionist Party in Northern Ireland, about their support to form a government. The DUP is a party, which has largely been ignored by the British press for a very long time. In fact, I used to, during the Scottish Independence Referendum, I live in Scotland, and when journalists came up here from London to write about the referendum, I’d often ask them various questions about British politics and it was quite obvious that maybe they needed to learn more before they took up an opinion of the subject. And one of the questions I’d ask is, what’s the fourth biggest party at Westminster? Which at the time was the DUP, and they never knew that. When I told them it was the DUP, they wouldn’t be able to tell me the difference between the DUP and other Northern Ireland parties. This is a party that’s entirely misunderstood and ignored by the British press historically and have been fascinating to watch them learn very fast about who these people are. But it is a fairly far right party. They opposed the Good Friday Agreement, which is what brought peace to Northern Ireland 20 years ago, and then were gradually brought on board with it. They’re so extreme, that John Major, the British Prime Minister who in the 1992 election got a very small majority and gradually lost that through by-elections. But John Major refused to work with them at the time, even though that was potentially the end of his Prime Ministership, because they’re so extreme. The fact that Theresa May’s potentially going to deal with them is very serious, and very concerning for Northern Irish politics and for peace there. The fact that Labour is still putting pressure on the Tories saying, a) you really shouldn’t be doing a deal with the DUP, this is a far right party and Brexit has already endangered peace in Northern Ireland. Already because they are actually an entirely different set of things, the Northern Irish Executive has collapsed, which is the kind of government there. This means that Northern Ireland’s being ruled directly from Westminster. And the idea that a party who represented one half of the community in Northern Ireland be involved in that government, but not the other half of the community, is very worrying. Labour’s absolutely right to challenge that and constitutionally right to challenge that. They haven’t got the Queen’s Speech through yet, so the government is very precarious. This is, in the context, for those who maybe been following it, the horrific fire in London in a tower block, which we don’t know how many people have died yet, but, looking like at the very least it was 70 and lots of talk of many more than 100 deaths, where the government looks entirely out of control. Theresa May showed up and failed to talk to any of the survivors and was chased away with people shouting, “coward”, at her. Absolutely Corbyn is right to be saying, look, Brexit negotiations begin today as we speak, and the government hasn’t got a majority in Parliament, hasn’t actually pieced together a deal. It’s had to postpone the Queen’s Speech, which is how the government’s programme is normally announced. Absolutely we’re in an unprecedented period of chaos as Britain enters its negotiations over Brexit. Clare Ozich: I think it’s a good thing that Labour’s continuing to press the case. I guess I’m just a bit used to the kind of standard social democratic parties not being all that up for taking advantage of crisis when they occur. As has been our history for the last 30 or 40 years. Adam Ramsay: Yeah. I suppose, as you say, again what you see is, Corbyn more willing to challenge the established order of things. And because Britain doesn’t have a written constitution there is no roadmap. So he’s saying, well why should we do things like this, in a sense why should we just accept that you’re in charge when you’ve not got a majority in Parliament, which he’s right to do. Clare Ozich: The Greens did not have a great election. Carolyn Lucas got re-elected, but the nationwide vote was pretty low, though the Greens took a position to stand aside from a number of seats as part of this progressive alliance approach that they were pushing. This kind of revival of the Labour Party is resulting in some introspection within the Greens, about the continuing role of Greens politics. What are your thoughts on the future relationship between green politics and this new left politics in Britain? Adam Ramsay: It’s a very difficult question. To be honest I don’t yet entirely know what I think the way forward is. I suppose to sketch out some of the things that have happened. It’s worth saying that this was the second highest vote the Greens have ever got in the UK in an election. It was quite a fall from 2015, which was the highest ever, but it’s still more than 2010 when Caroline was first elected, and much more than any election before then. In that sense it wasn’t a disaster. It was a disaster in that with the first-past-the-post system what people hoped for in this election was to come out with either potentially a second MP, and that looked possible a month before the election, at the point when Labour were doing very badly, and the second seat would have been Bristol West. It looked like if the Labour vote were to collapse, some of that could easily have come to the Greens in Bristol West. But then what happened is the Corbyn surge meant that that electorate all went out and voted Labour. In fact the Green vote halved in that seat. And also there seemed to be a hope of getting second place in the Isle of Wight, which was in 2015 a surprise success for the Greens, but then has consolidated as one of the targets nationwide. Instead, what happened is that, previously the Greens have come third, but interestingly the second party was UKIP. So it was Conservative, then UKIP, then Green. What happened in this election was that Labour overtook. So you ended up in a position where there’s no obvious seat other than Brighton Pavilion, which is Caroline Lucas’ seat, in which there’s a clear second place. And at the same time a lot of Greens looked, quite rightly, at Corbyn’s manifesto and said, this is roughly what we stood on in 2015. This has got more in common with Green manifesto 2015 than has with the Labour manifesto of 2015. A lot of people in the Greens were saying well, Corbyn now looks like a viable Prime Minister, he didn’t before this election. The assumption for most Greens was that Corbyn would be a bit of a flash in the pan and when the snap elections were called it looked like he might well be gone within a month of the election. He’s now clearly not going to be and most people in the Greens think well, obviously we can’t stand against a potential Corbyn Prime Minister. Someone who’s been on protests with us for 40 years, he’s been one of the few MPs that most Greens like, other than Caroline. That does leave the party in a difficult position. How do you, in a first-past-the-post system actively support the leader of another party, who is mostly opposed by, or was historically opposed before this election, by his parliamentary group, but supported by the current massive new members. Lots of whom, in practise, are people who the Green Party recruited into party politics through the Green surge in 2015, who then went and joined Labour. I have friends who very actively politically who said they’d never joined a political party and then joined two in the course of year, in 2015; some joined three, they joined the SNP and Greens and then Labour within 12 months. The problem for Greens is, on the one hand obviously most people want Corbyn to be elected. On the other hand the issue, which is likely to define a lot of the next two years of British politics, which is the Brexit negotiations….Greens and Labour do have a significantly different position on that one question. For the party in England, at least, that’s a big question. It’s worth saying there are also very significant differences on basically two key issues, which are the EU and what I’d call the British States, based around constitutional issues, where Corbyn has accepted Brexit and probably in retrospect he had to do so, in order to get this election result and for him strategically, that was the right call. 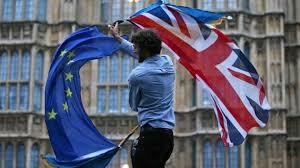 But there is already a significant proportion of the electorate, and there is now most recent poll shows a majority, who in fact now do want a second referendum on Brexit at the end of the negotiation process, on whether or not to accept the deal that’s been done. And the Greens are in favour of that and Labour so far have been against that. The problem for Greens is, on the one hand obviously most people want Corbyn to be elected. On the other hand the issue, which is likely to define a lot of the next two years of British politics, which is the Brexit negotiations – it is worth remembering this election happened before Brexit had even really begun. Greens and Labour do have a significantly different position on that one question. How to push that position and articulate it, while at the same time being clear that of course this Conservative government needs to be sacked and of course we can no longer pretend that, or claim that, Labour isn’t significantly different. What Labour is offering is significantly different from the Tories. That’s the context. It’s not the same everywhere. I’m in Scotland where politics are very different, the Labour Party is very different and there’s also another constitutional question, which is independence, which is being supported. There’s no question about aligning with Labour in that sense. Wales and Northern Ireland again is very different. But in England, huge numbers of old party activists have joined Labour in the last week or so. And they don’t see that as a change in their politics, they just seen that as, and they’re not angry with the Greens even. People who see that the Greens behave pretty well, but think, well in the next five years it is obvious we need to get Jeremy Corbyn elected Prime Minister and why would I not be in Labour to do that and a lot of people who haven’t done so have been asking serious questions about where next. I don’t know the answer. It’s a good question. Clare Ozich: It’s an ongoing question and I think it’s an interesting one for Greens around the world in the sense that, if what we are seeing is this disintegration of the centre left parties and there is scope for a revival within them, then it’s going to be a challenge for Greens parties in other places too. Although, obviously voting systems do help a great deal in terms of having a presence in the Parliament. But at that kind of broader political space it’s an interesting question. I guess in some ways if we go back to your answer about, your discussion about social movements coming into Labour, that’s basically a big experiment. If Corbyn does become the Prime Minister, how that actually works and the extent to which and how change then happens. 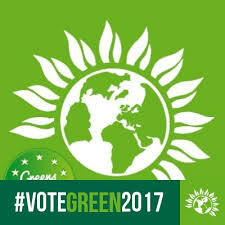 And then the role of greens politics and its stances on a number of things including participatory democracy, as well as the obvious challenges of climate change and the environment, it is going to be interesting times. Adam Ramsay: Yeah, absolutely. And this is my worry about the Labour manifesto in this election, it felt to me it wasn’t radical enough. It was obviously much better, not just than the Conservatives, but than what Labour has produced in a very long time, possible ever. If they’d been elected and in the position to be deliver it I’d be delighted. But, I think that if you think about it, why social democracies had real problems in the past, and you think about the state of the challenges in the modern world then I think that there are lots of other things as well, that we’re lacking to an extent from it. I think most of the things in it I’m in favour of. I think we do in Britain need to re-nationalize a whole swathe of industry and increase tax in the top rate and so on. But as you say, we also need radical de-centralisation of our democracy and we need participatory democracy. We need to think about climate change more broadly than simply a few targets and a couple of other measures. And absolutely nationalising the energy industry is a part of that, and setting up energy co-ops locally and so on is a part of that. But there’s a whole set of thinking that needs to be done about the whole future of the economy in Britain, which they haven’t done yet. I don’t think they’re incapable of that, and if you look at the people around Corbyn, the direct advisers, in the sense you have two groups. You have the older left and literally often older people from the left, who, they remember the miner’s strike and they’re quite keen on things like the coal industry and so on. Then there’s younger people and people who just been involved in more new left for longer, who’ve got more of a sense the solution to the problems of the world is not opening coal mines, and how that plays out is going to be very interesting. And the role of Greens in pushing those ideas is going to be very interesting in a first-past-the-post- system. The Greens are right about those things and still have a key place to push those ideas somehow. It’s just that there is a serious question about in the first-past-the-post system, and in the context where it’s clear, which side you’re on, while you’re standing against that side. Clare Ozich: Thanks Adam, that was a really great conversation. Adam Ramsay: Well, lovely to chat. Clare Ozich: Maybe we could do it again next time there’s an event in the UK politics, which might not be that far away. ← Previous Article International climate agreements: useful or useless?